In 2016, 182 people were convicted of terrorist and extremist charges; such is the figure quoted by the Prosecutor General's Office. Last September, Deputy Chairperson of the National Security Committee [KNB] Nurgali Bilisbekov informed that 445 people had been convicted under these charges over the five years, and 25 people were convicted in the nine months of 2017, while 50 suspects held in pre-trial detention centres. Among those who were prosecuted under these charges are adherents of different religious movements, they have different political preferences, ethnicities, social statuses and professions. Perhaps, the secret services do not want to be accused of bias. 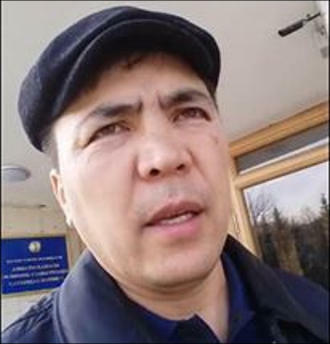 Last year, among the convicted or arrested for the propagation of terrorism and the incitement of all kinds of dissensions, in addition to supporters of several unconventional Islamic movements for Kazakhstan, there was a human rights activist (mother of three children), a former prosecutor, a group of opposition-minded citizens. The only common factor - there were no victims at all, and the accusation, as a rule, was due only to the desire of performers and dubious expertise. The loudest and at the same time the ridiculous detention was at the end of November. According to the media reports on the eve of the Day of the First President (1 December) a group of "extremists" in Almaty was neutralised, who "in the guise of an unregistered public organisation planned actions in Almaty to violate public order, intimidate the population, and sabotage the work of law enforcement agencies." According to the press service of the police, "according to one version of the investigation, the group acted on the orders of criminal elements located abroad." By experience, one could have expected that by that day law enforcers will traditionally present a gift and once again remind that they are not eating their bread with caviar and butter for granted. However, the context of this special operation is still strikingly different from the numerous detentions of adherents of destructive religious movements. First, the "extremists" filed, as required by law, a request to the city administration to hold a rally on social issues in a specially designated place. This request was interpreted by the investigation as preparation for mass riots. Secondly, Almat Zhumagulov, now the leader of the group, did not hide his opposition sentiments: he has a photo of the worst enemy of Astana, the exiled opposition politician Mukhtar Ablyazov, on his Facebook page, with an appeal to join his reanimated organisation "Democratic Choice of Kazakhstan." Thirdly, Almat Zhumagulov was a participant in the informal political party "Gandhi Park" - a small group of opposition-minded citizens who periodically gathered near the Gandhi monument in one of the public gardens and shared issues with each other. In violation of all of the above, a video report was shown with three people in masks calling on compatriots to armed jihad against the authorities. The glued video was attributed to the identified group, especially since faces of participants are visible on one of the cut. And then the speakers stand already under the flag of "Hizb ut-Tahrir" - an organisation that was banned in Kazakhstan, but it has long been unpopular. The latter fits very weakly with quite, as it seems, secular views of arrested and "criminal elements abroad", by which all the same Mukhtar Ablyazov and some of his assistants should be understood. Apparently, the authors of this scenario had two tasks: to convince both the internal and external consumers in a link of Mukhtar Ablyazov with religious extremists. To confirm this version, investigators provided media records of wiretaps of negotiations between the arrested individuals. The record has frankly poor quality, and it is difficult to identify anyone in it, but the investigation kindly made a transcript. But logic is not there again: the two main defendants are discussing how to make money for the revolution, and conclude that there is nothing better for this than robbing passers-by at night. But what connection is there with the hiding billionaire Ablyazov, who seems to be ready to sponsor all opponents of the regime? So despite the massive information cover in the country, another loud exposure was swallowed with obvious mistrust. As for the foreign audience, then with a 100% guarantee, it can be argued that there is no such phantasmagoria seriously considered. So it was already in 2012 when special services and media affiliated with them told about the suppression of attempts of terrorist attacks in Almaty, plotted by the same evil genius Ablyazov. The strangest thing is that the explosions were allegedly planned in a vacant lot in one of the city parks and two always empty overground crossings. One of the arrested "opposition jihadists" Kenzhebek Abishev passed his statement, where he told how the investigators tried to force him to perjure against Almat Zhumagulov. Apparently, they are doing the same job with others (three were arrested, three more are banned from leaving). Not so strange, but no less awkward case ended not so long ago in Almaty. On 29 November, judge Beynegul Kaisina sentenced Shuhrat Kibirov, the disabled man and ethnic Uyghur, of posting religious songs "nashids" in Arabic on the social network "VKontakte" three years ago to six years and eight months of imprisonment. The very presence of Kibirov in the network under the name "Alim Akhmetov" remained a big question. But the judge cast aside doubts that Shuhrat Kibirov under this or another name was perfectly aware of what he was doing when he placed the songs, since he had attended the Arabic courses for two months - which is quite enough, in the opinion of the prosecution and the judge for a complete mastery of the language. The guy was convicted on two counts - for "propaganda of terrorism" and "incitement of religious discord". However, the state expertise did not find the same propaganda in the texts of the songs placed by him, unless signs of inciting religious discord. But the prosecutor considered that the prosecution could not be mistaken, and asked the judge to punish Kibirov as strictly as possible. Lawyer of the defendant Galymzhan Nurpeisov with the help of specialists made a translation of these “nashids” into Russian, and it turned out that they might have a vague threat, but in general nothing illegal: it is sung about love to the Prophet, about his companion Umar, about his mother. We are soldiers of the heavens. According to this logic, half of the heavy rock performers, together with their fans, should be jailed for 20 years each. It could be assumed that in fact, the intelligence services want to strike at the religious training centre "Furqan", where Shuhrat once worked. But neither the investigators nor the court expressed any minimal interest in the activities of the centre. The prosecution had the only witness who confirmed that Alim Akhmetov and Shuhrat Kibirov are the same person. But before the trial began, he wrote a statement to the lawyer about the pressure and intimidation put on him by the KNB investigator, who forced him to sign the papers he had drawn up. During the meeting, the witness confirmed his testimony, but the next time he asked the court to disregard his earlier statements. Lawyer Galymzhan Nurpeisov clearly did not expect that the punishment would be so severe. "To say that my client deserves such punishment is inhuman and unscrupulous," he said with disappointment. Unfortunately, the chances that the appellation court and the Supreme Court, if they get things done, would reverse the verdict, are almost equal to zero. In the summer of this year, in another part of the country, in the city of Kokchetav, Nariman Seitzhanov was sentenced to five years. Also for "inciting religious discord". If Shuhrat allegedly posted songs on the social network "VKontakte", then his co-defendant shared his video lectures on Youtube under the pseudonym Nariman Abu Hafs. Of course, it is quite possible that the young man absorbs an alien ideology in his head: he received religious education in Saudi Arabia. And then, when he became the main imam of the mosque of Russian Omsk, he lost his job and received a ban on entry to Russia "for the split of the Muslim Ummah" of the city. The experts listened carefully to all three forty-five-minute materials and found signs of inciting religious discord again, since "ideas are characteristic of the Salafi trend in Sunni Islam, which are negatively preached about the Rafidites, Kharijites, Qadarites, Mu’tazalites." This expert conclusion can be interpreted anyhow, but all the above-mentioned trends are actual exotics for Kazakhstan. Despite the absence of representatives of these Islamic offshoots, mentioned in Seitzhanov's lectures, and even more so the absence of insulting people who would file suit, the state stood up for them and transferred the theological dispute to the field of criminal law. This pseudo-scientific dispute ended for one of the participants with five years of imprisonment. Two high-profile special operations were held in Aktobe and Shymkent last year. In both cases, dozens of traders of used mobile phones and repairers of mobile equipment were captured. And the law enforcers were not interested in the origin of the device (although it was officially announced that operations are being carried out to identify the points of sale of the stolen goods), and not even their content, but primarily the appearance of the merchants. In fact, it turned out that adherents of Salafism were involved in this small business somehow (in the country it is not forbidden), and they have, as it is acceptable: with beards longer than the average and in short pants. In October 2017, special forces stormed the trading house "Astana" in Aktobe detaining only those having features looking like belonging to the adherents of the Islam unconventional for Kazakhstan. The law enforcers filled the bus with more than four dozen of people. Azattyq Radio (Kazakh service of Radio Liberty) cites the words of witnesses who saw how the detainees were beaten. And on the same day, six hours later, everyone was released, nothing criminal was identified in their deeds. However, twelve people were brought to administrative responsibility for "trading in unauthorised places" and another thirty - "for living without registration" to cover the pointlessness of the operation. A similar raid was conducted in Shymkent on 19 September. Dozens of police and special forces in the area of the trading house Garant stirred the population. On the same day, the mass media stated that law enforcers were detaining extremists, presumably, referring to the press service of the regional police department: "On 19 September 2017, the Department of Internal Affairs of the South Kazakhstan region together with the DKNB [KNB Department] in the South Kazakhstan region in Shymkent in the area of the Garant store conducted a special operation to stop the activities of the criminal group consisting of supporters of destructive religious movements." However, as in the case of Aktobe, "extremists" turned out to be traders of second-hand mobile phones. It is obvious that this time the special services took into account the mistakes of their predecessors from Aktobe and nevertheless isolating three from several dozen detainees who allegedly uploaded video recordings of extremist content at their whim into the sold telephones. 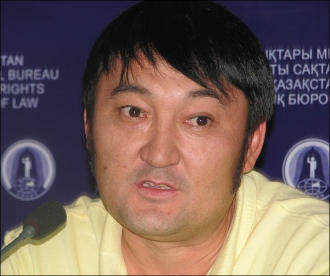 On 14 December, the first of the three suspect, Alpamys Jusipbekov, was sentenced to three years of restraint of liberty. Confessing his guilt helped him to get a fairly gentle punishment. "I found out that the prosecutor's office had arrested all my accounts. In their demand for banks, they said that extremists and terrorists are financed from these accounts. And in essence, these are alimony bills for my children. I'm so sorry for these foolish prosecutors who caused this ordeal, condemning for nothing, they continue to taunt me. Kazakhstan prosecutors are so immoral that they even arrested children's money under an absurd pretext. For 50 thousand tenges (about $ 150 - note by Fergana News) that come to these accounts, I can try to buy only masks on faces for terrorists and extremists," writes in despair on Facebook the Almaty human rights activist and mother of three minor children Olesya Khalabuzar, who was convicted of a crime "against peace and the safety of mankind." Fergana News already reported that Olesya Khalabuzar, the head of the human rights organisation "The Young Professionals Society" Justice", charged with "inciting hatred" was sentenced to two years of restriction of freedom on 1 August in Almaty. She was charged with a leaflet of anti-Chinese content and the same file on her computer found during a search at her office. The search took place within the framework of another "extremist case" - about posting a video on the network where a group of desperate citizens threatened self-immolation if they do not find justice in the courts. But since the posting of the video could not be charged the leaflet and the file came in handy. Moreover, the search was uncontrolled. The fact that Olesya is in charge of three children, her compulsory remorse and the statement that she will no longer engage in social activity, touched the heart of the judge, and Olesya got off with a conditional punishment. But accusations of this kind and in more severe cases double the penalty by the fact that the convicted person and even the already served a term are excluded out of society. In Kazakhstan, all those convicted of "extremist" and "terrorist" charges are additionally punished by the fact that they are included in the "List of Organisations and Persons Linked with the Financing of Terrorism and Extremism", after which even those who have served a sentence do not have any chance of re-socialisation: they are prohibited from conducting any financial affairs, they cannot open accounts in banks and receive loans, cannot legally receive wages. They are not even able to but tickets for a train or intercity bus. Olesya learned about her inclusion in the "blacklist" at the end of December. And being divorced, she and, consequently, her children are deprived of the possibility of obtaining alimony, not to mention the possibility of finding a legal job. Very few could manage to get out of this list - and then only several years after the termination of the sentence. The story of Ablaykhan Chalimbayev proves these words. And although he was released in 2017, his unusual case continued, and the "extremist" stigma, apparently, remains for life. 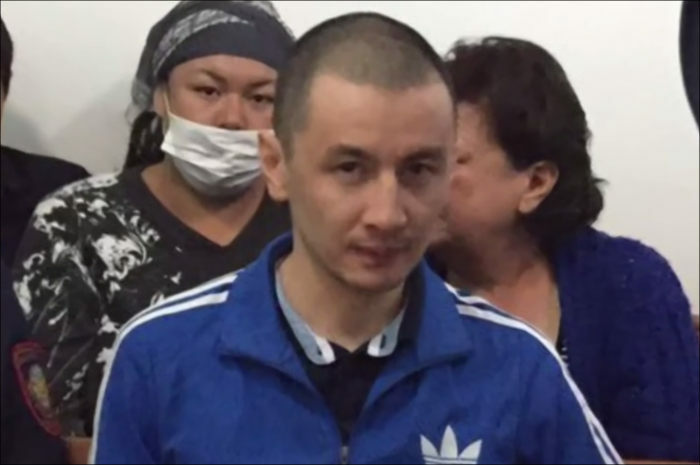 In March last year, "extremist" Ablaykhan Chalimbayev, after being released after five years of imprisonment, held a press conference in Almaty. Unlike most of those released on religious grounds, he changed his views. And now he demands that those involved indirectly bring him to the dock. From the beginning of 2000, Ablaykhan was carried away by Islam and went to the Al-Barakat training centre in Almaty to deepen his knowledge. Both the centre and its edition did not provoke criticism from law enforcement agencies. Ablaykhan was handed several volumes of the book "Tafseer Saadi" (interpretation of the Holy Quran) there, with which he went to cultivate reason, kindness and eternal values among neighbours and acquaintances. One such meeting fell into the field of view of the special services whose agents were among the listeners. During the search of Ablaykhan cartridges were "found", but then the mention of this evidence disappeared from the materials of his case, and a blank "the incitement of religious discord" charge remained there. "I did not say anything, just quoted lines from the book," Ablaykhan explains. However, the judge agreed with the prosecution attributing all the citations to the defendant himself. Most likely, the ambiguity factor of the book played here. The translation of the work of the theologian from Saudi Arabia Abd ar-Rahman ibn Nasir as-Saadi, who lived in the middle of the last century, was carried out by the famous Azerbaijani philosopher and philosopher Elmir Kuliyev. He did not add anything from himself, so the radical enough views of the Arab were completely reflected in the translation. And the same Elmir Kuliev published in Kazakhstan the translation of the Quran (with the support of the First President's Foundation), to which there were no claims either - unlike Russia. In 2013, the court of the city of Novorossiysk recognised the translation of the Quran by Kuliev as extremist (although in the same year another court overturned this decision). And now it turns out that Ablaykhan Chalimbayev quoted a book translated by an Azerbaijani interpreter well treated by the authorities of Kazakhstan. So it turned out to be easier for everyone to ascribe statements, and in fact sharp ones, to the defendant himself. When Ablaykhan Chalimbayev was already serving his term, his mother tried to draw the attention of the Committee on Religious Affairs, which "approved" the publication, to the case. The maximum, what she managed to achieve, - officials revised their views and included the publication in the list of "not recommended" for distribution. But neither the publication nor the religious centre, among the graduates of which there were several real terrorists, did not arise any more questions. Be that as it may, after his release, Ablaykhan appealed to the law enforcement agencies to engage in a suspicious centre and the book that the centre distributes. But if Ablaykhan himself was arrested by the KNB investigators, the claim on the activities of Al-Barakat was transferred to the district police department. "He tells me: I know how to catch thieves, robbers, but I absolutely do not understand religion," Ablaykhan retells his only conversation with the police officer who was tasked with checking the statement. But Ablaykhan has enough time to bother law enforcement agencies with his requests. Like Olesya Khalabuzar, he was placed on the financial "blacklist". Living in the village near Almaty, Ablaykhan is forced to survive on the retirement of an old mother (his wife had left him with the children when he had been convicted) and earn by an occasional job. In Kazakhstan, there have been several processes of inciting discord and promoting terrorism since last year. Among them is a trial held in Karaganda. Two men: Uali Aliaskarov (former employee of the Prosecutor's Office) and Mikhail Tkachev - are charged with the standard "inciting religious hatred." Both were arrested in March last year after policemen came to the meeting of a small group of adherents of the cult "Union of Co-Creators of Holy Russia (USSR)". One must assume that there are dozens of such sects in Russia, if not hundreds. But in Kazakhstan, someone has been charged with participation in the activities of this kind of organisation for the first time. Not otherwise than for the sake of diversity and emphasise the equal attitude of the special services to all non-traditional branches of religions and cults. As the Azattyq Radio informs, the indictment says: Aliaskarov and Tkachev, joining the followers of the ideology of Russian academician Maslov and adherents of the occult pseudo-scientific religious organisation "Union of the Co-Creators of Holy Russia," began to experience intolerance towards other faiths. They decided to disseminate the ideas of this occult movement on the territory of Kazakhstan through meetings, on the Internet, through the reading and distribution of religious literature among their adherents. So, taking into consideration the accusation, there is nothing good for the defendants. And, most likely, the international community would not be interested - just one of many. Although it is obvious that international human rights organisations in 2018 will fight for the release of political prisoners Maks Bokaev and Talgat Ayanov (everyone imprisoned for five years for "inciting social discord" ); defenders of freedom of conscience and "Jehovah's Witnesses" - for the release of its adherent Teymur Akhmetov (charged with "inciting religious hatred" and convicted to five years in prison). But hundreds of actual and imaginary adherents of Islamic trends will remain in custody without any hope that someone other than relatives and friends would demand a change in their fate or a review of cases. But it is illuminating that the authorities could not provoke intolerance of the society towards manifestations of extremism and terrorism as the media wrote about it. Even when something happens, almost always the anger of the society hits the security forces, but mass indignation about the very terrorist activity in the network or the real world is not observed. Not otherwise, because the majority understands: anyone can be "turned" as extremist. It is not necessary to do something special to get under suspicion - an investigation and a court will make everything. Local and foreign human rights defenders also had told about it for years predicting that such methods of fighting extremism and terrorism would breed real enemies of the state, who without legal ways to express protest, would defend justice with weapons in their hands. However, the practice confirms from year to year that, except rare flashes of extremist activity, everything is calm in the country so far. From the point of view of special services, the game is worth the candle - and the dissatisfied mass will remain silent, and there will be new stars on someone's epaulettes.